Whenever I see something I like shopping online or in a catalogue, I go searching the web to try to find it on a real person… usually without success. I’m sure we’ve all experienced the disappointing realisation that not everything we loved in store resembles the same outfit when it is put on our own bodies at home. 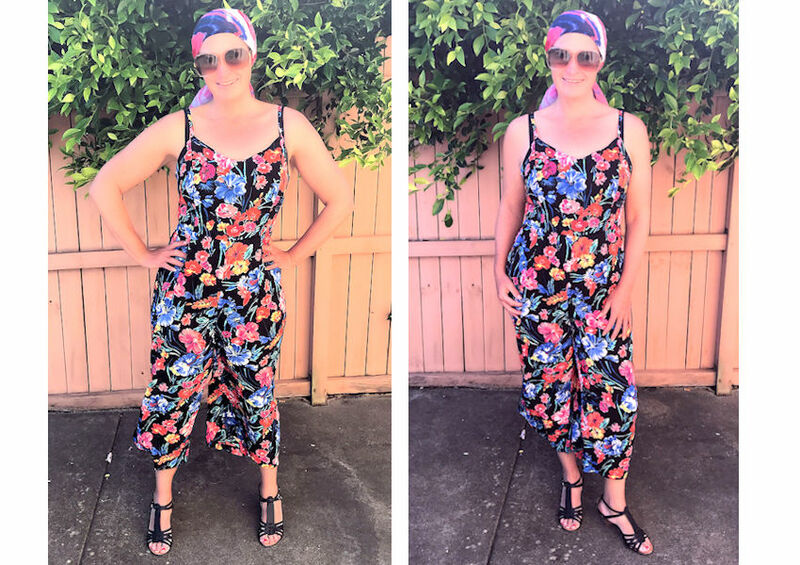 If you are considering the Crossroads floral jumpsuit, this post may be for you. 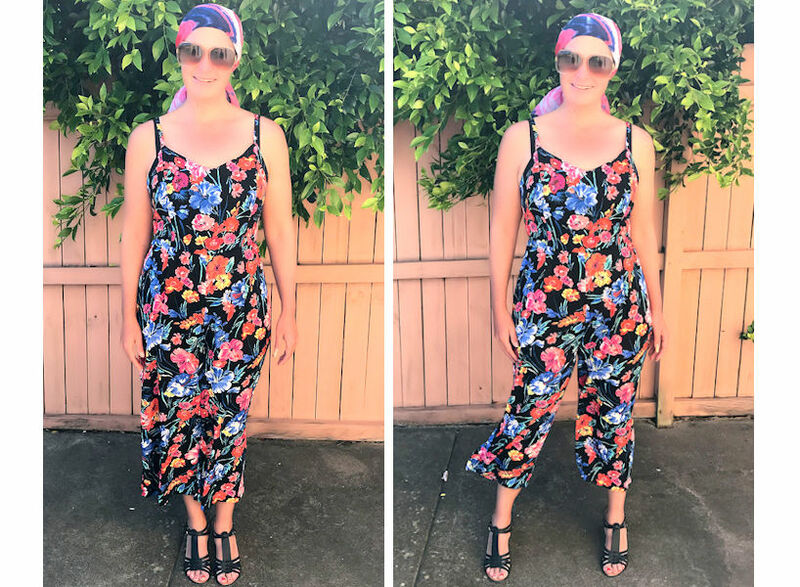 I didn’t love the length of this jumpsuit when I first saw it and I had my doubts anyone without a ‘model figure’ could pull it off. I’m a curvy gal, so avoiding large bold prints on my bottom half has become ingrained over time. All that aside, it looks amazing online and a storewide 50% off sale compelled me to step out of my comfort zone and give something new a try. About the garment: The jumpsuit itself is quite lightweight with adjustable shoulder straps. It does have pockets at the waist, though I didn’t feel these added any unwanted bulk to the area. It closes with a visible gold zipper at the back. 100% polyester so perfect for people like me who despise ironing. I feel like it’s a smaller make (or maybe I just like my comfort too much). I’m usually a size 12 in Crossroads bottoms (a 10 in tops) and I did need to buy a size 14 in this one to feel comfortable enough to move around freely. Retails at $59.95, though it is down to $30.00 at time of writing. On a not-a-model: So here it is on an ordinary 40-year old woman (as opposed to a hot 20-something model). I’m also wearing the Crossroad’s watercolour scarf ($19.95). When it comes to jumpsuits, I find most people either love them or hate them. Where do you come down? Are you pro-jumpsuit or is that a no-go for you? « 3 Pairs of Summer Sandals for Under $30!